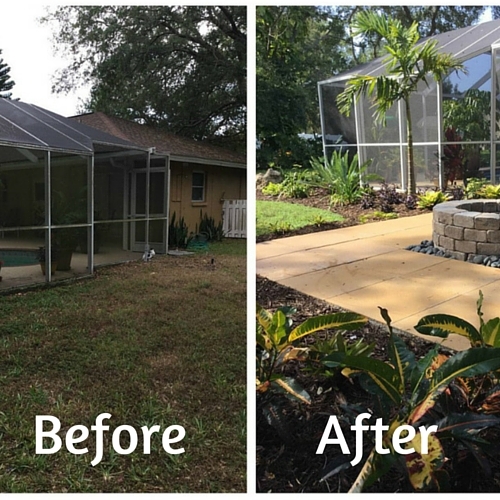 Are you interested in improving your home’s curb appeal, creating a place in your backyard to make memories, or you simply want to replace some shrubs and trees around your house? 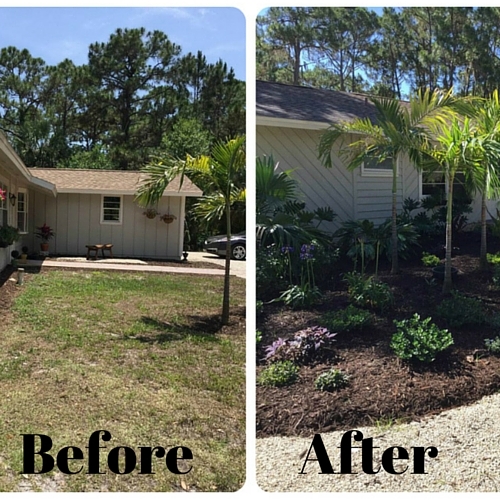 If you answered yes to any of those questions, MRT Lawn and Garden Center is here to help you get the tropical landscaping that you have always dreamed of! There is no landscape design or installation job that is too big or too small for MRT Lawn and Garden Center. Whether it is installing sod pieces to create a luscious lawn for your pets to enjoy, mulching around your flower beds around your home, removing old trees that have overgrown roots, or even installing a complete irrigation system, we are on standby at MRT Lawn and Garden Center to make your lawn and garden dreams come true! 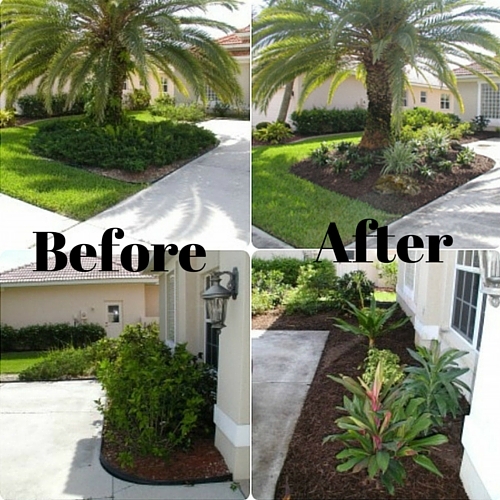 Having a landscape design created and installed by MRT Lawn and Garden Center could not be any easier. It is as simple as calling us to make an appointment to have one of our experienced Landscape Designers visit your property. We can make it even easier if you decide to come into the garden center with photos and measurements, and we can usually work with you right here on the spot. MRT Lawn & Garden Center has three full-time professional landscape designers on staff. Our Landscape Design/Build Division is equipped to handle any size residential or commercial project. 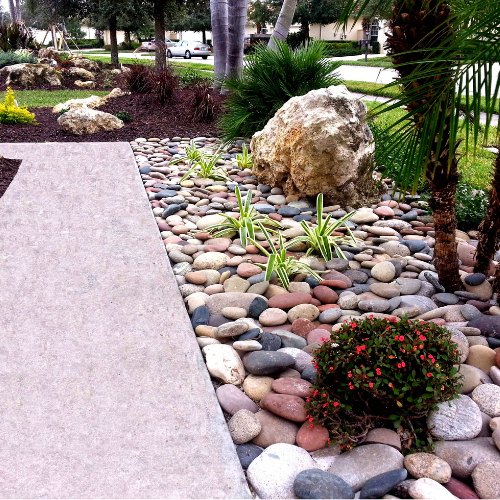 Not only do we provide you with quality plant material, but we can also assist you with your hardscaping needs. We carry a wide selection of outdoor living accessories such as furniture, pottery, wall art and water features that will enhance any exterior environment. Come and experience MRT Lawn & Garden Center – you won’t believe your eyes! Let one of our Landscape Designers help you create YOUR OWN custom paradise. 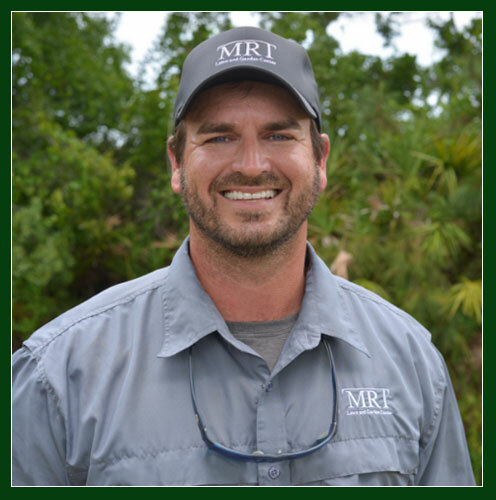 Please meet Rob, he is the manager of MRT Lawn and Garden Center's Landscape Design Division. He earned a Bachelor’s Degree from the University of Florida in Landscape and Nursery Management with a minor in Agriculture-Business Management. Rob has worked in the "Green Industry" for 18 years with job duties that have related to landscape maintenance, new construction landscape installation, plant nursery propagation, and landscape design. His roles at MRT include overseeing every landscape installation account from large homeowners associations to single family residential homes. He also works with clients and MRT crew members to ensure that the design concept is carried through for our customers to the completion of their landscape installation. Here's how it works:For a small fee, you can have one of our creative and knowledgeable Landscape Designers visit your property to discuss objectives for the areas in need of new plantings or a makeover. The designer will do a site analysis, take measurements and/or photos, and gather input and preferences. After all pertinent information has been gathered, the designer generates a proposal. Our overall goal as a company while creating and installing a landscape design for our customers is to make the process as easy as possible. Each landscape design proposal includes a detailed drawing and list of plants, which will enable easier interpretation of the designer’s ideas and the proposed layout. Following that first step, we invite our customers back to MRT to walk together through the plant yard with their designer. They are able to see the designer’s recommended plants firsthand. At that point we ask for feedback and any further suggestions. After finalizing the designer’s choices, we send out a written estimate, listing out all plants, materials and labor costs. *Fee is based on size of the job and is non-refundable. P.S. For you D.I.Y. people – if you just need a little guidance so you can do it yourself, we can draw your plan, give you the plant list, and you can purchase the plants and install them yourself. You just pay the design fee.